Your home is a sacred place for both you and your cats. It’s where you retreat, recharge and relax. If you’re a cat person, it means so much more. Let’s face it, some of us are home a lot. So, why not create an environment that exemplifies your style, keeps your stuff organized and allows your cats to share the same space with you, while still calling it their own? It can be done….even in your tiny apartment! I think most people are hesitant to add cat furniture to their homes, because the choices we are used to are bleak and unattractive. I mean, beige on beige carpet is cool and all, but we’re living in modern times. 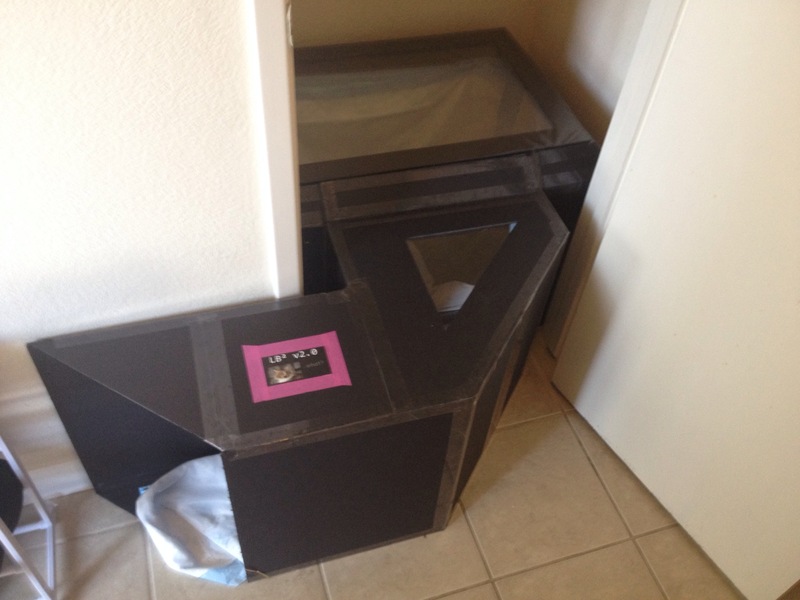 We ARE doing so much better with cat enrichment and design. You just have to take the time to create the design. Manifest the vision. It’s meow or never. My consult in Mountain View with my clients, Sean & Bonnie and their cats, Dudley, Xena & Clyde was a total blast! I just had to feature their catification project on my blog, because I think it really combines aesthetic style, attention to comfort, cat logistics and just straight up consideration for the happiness of their cats. Virtually every nook and cranny in this house has thoughtful cat enrichment of some kind, paying extra attention to scent soaked areas like scratch pads, posts and perches. Using Kate Benjamin & Jackson Galaxy’s book, “Catify to Satisfy” as a guide, the preferences of each cat to get up off the ground and into the mix have been embraced and catered to with modern elegance and kitsch. They added cabinets and shelves to areas that had the most social significance, like home offices, workshops and of course, the living room and bedroom areas. Check out their hard work below. Most of the cabinets are Ikea models and the climbing pole was DIY, based on the book referenced above. Are you being constantly annoyed by your cat begging for attention or food or who knows what? Cubby “The Munchkin from Mars” and DQ took a few moments today to show you some simple techniques for food foraging, which can work wonders for cats that are easily bored or looking for jobs to do. Change what seems like an annoying behavior into a designated activity. 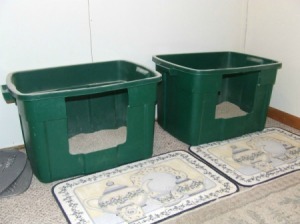 Make a those cats work instead of giving them an all-you-can-eat buffet every day! It’s super easy! Foraging toys are easy to find online or you can DIY your own out of common household items. However you make it happen, your cats will be happy and the best of all… not under your feet or on your desk begging for your attention. Check out the video! Below is an article published in Culture Trip Magazine. Daniel “DQ” Quagliozzi of Go, Cat, Go! is the rebel cat guru of San Francisco. Sporting rockabilly hair, DQ also rocks multiple tattoos including a gothic Jersey Boy inscription on his chest, angel and devil cats on his forearms, and quirky cat symbols all over his fingers. His knuckles read: Cat’s Meow. Now that’s commitment to a cause. Here, The Culture Trip’s Nancy Garcia meets with DQ to find out about his work as a cat behavior consultant, and how humans can learn to be more like cats. NG: You started on the feline path by working for twelve years at the San Fransisco SPCA. How did that experience inspire you to create Go, Cat, Go!? DQ: It happened as a progression. After working for an animal shelter for that long, I really believed that my calling was to be a social worker, and I planned to go back to school and get my degree. Then it dawned on me that I was already a social worker – for cats and people, and that made more sense. NG: Were you a cat behavior consultant at the SF SPCA? DQ: I had a lot of different jobs there that led to advising people on cat behavior. Eventually though, I felt that my own unique contribution to cats was limited, because I wasn’t able to reach out to everybody that needed these services at the SF SPCA. I used to process animal surrenders (when an a pet is given up), sometimes ten a day. I witnessed people giving up their pets for all sorts of personal reasons, from their own lifestyle changes to challenging cat behavioral patterns. The behavioral reasons made me think: well, if someone could have just talked to them, maybe this wouldn’t have happened. The SF SPCA is one of the best shelters around, but there are many that aren’t, and many animal lives are lost. I had a yearning in my heart to connect to people in order to prevent this from happening, so I started Go, Cat, Go! in 2012. NG: And it took off! DQ: Yeah, it took off pretty quickly. I think there was a need for the service, and when people finally found out that it exists, that there’s someone who can come to your home, and give you real advice on how to deal with the cat-owner relationship and the issues that come up, they’re very relieved. NG: What do you do specifically as a cat behavior consultant? DQ: As a consultant, my job is to help people interpret their cats. People often call me in times of crisis – at least that’s their perception of the problem. My task is to come into the home and decipher whether it’s truly a behavioral problem, or whether it’s just a misinterpretation of the cat’s needs. I’m in the cat brain all the time. 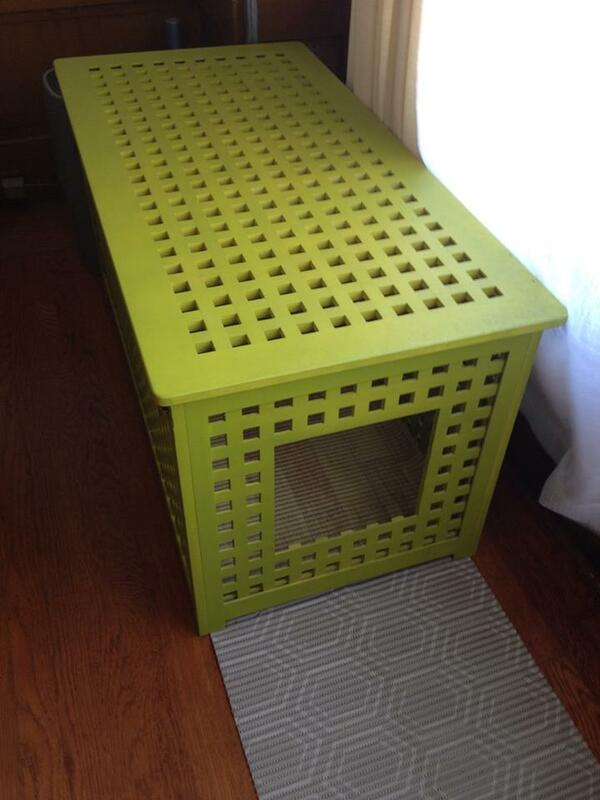 When I come to your home, the first thing I do is size it up for cat-friendly furniture. I ask myself: if I were a cat, would I like being here? Most of the problems I come across boil down to human intention versus feline free will. NG: What do you mean by human intention? DQ: What people want or need out of their relationship with their cat. Often the cat can meet those needs, but they may not fulfill them in the way they were expecting. The secret to getting a return on our relationship with our cat is by working for them, and that is the opposite of what most people want from their pets. Pet owners think, I’m not going to be controlled by this animal! 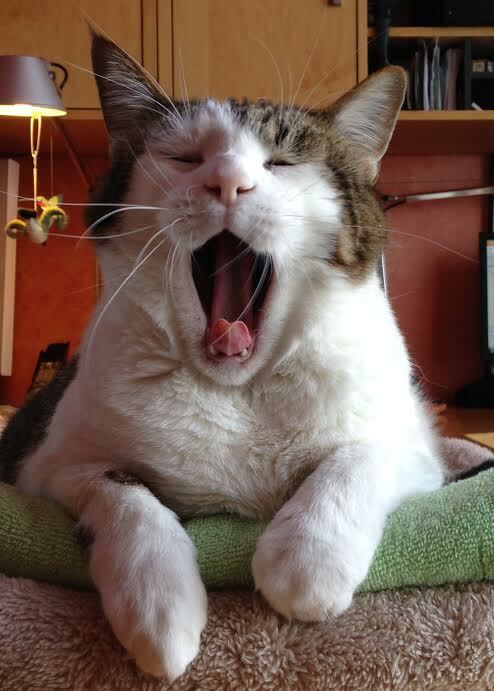 NG: That’s funny – what does “working for our cats mean”? DQ: Humans have a way of wanting obedience from their pets. That’s part of the relationship we have with dogs. Dogs are really eager to please us, and cats often sit and wonder why we haven’t pleased them enough! NG: That’s so true! Cats can be demanding, and then at times aloof – they’re so mysterious. How can we communicate better with them? DQ: By getting into the mind of an animal that is looking for resources all the time – cats are hunters, and they’re looking to fulfill their own needs. 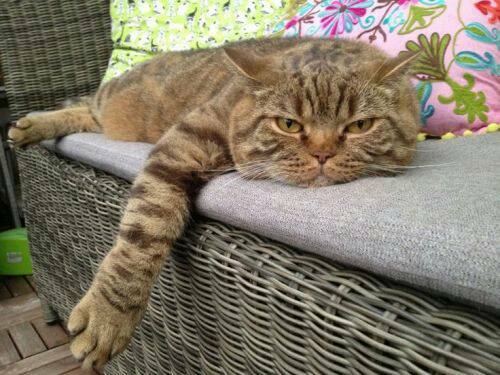 A lot of problems that manifest with cats originate from boredom. When we get home at night, they’re like – OK! Show time, let’s get going! Twelve hours can pass, and how much human interaction has your pet had? This creature has been waiting for you all day to come home. Sometimes, we feel as if we do enough by coming home and putting some food in a bowl and scooping some poop out of the litter box. I think that’s the bare minimum. It’s a cycle that we get into because we’re all tired when we get home from work, but it affects our pets too. I advise clients to try to tune out of all the distractions – the media and phones and computers and TV for a bit, until it’s just the owner and the cat. NG: Do you believe that cats miss their owners when they’re out? DQ: It’s more like they need interaction and stimulation when the owners are around. This is where providing at least fifteen minutes of interactive play a day can really count. NG: What is interactive play? DQ: It’s when you are the toy. You’re not physically the toy, but you operate the toy as if you’re an extension of whatever it is that you’re playing with. Your cat isn’t sitting there saying, “ Ah, I can’t be bothered with that toy” – they are waiting for the toy to do something exciting. A great game is “now you see me – now you don’t.” It’s when you, with the toy go around a corner. 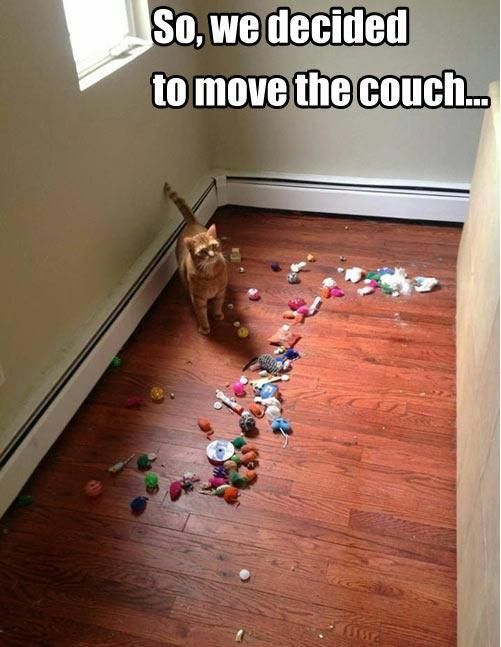 The second you turn that corner is when cats say, “wow – where did that go”? 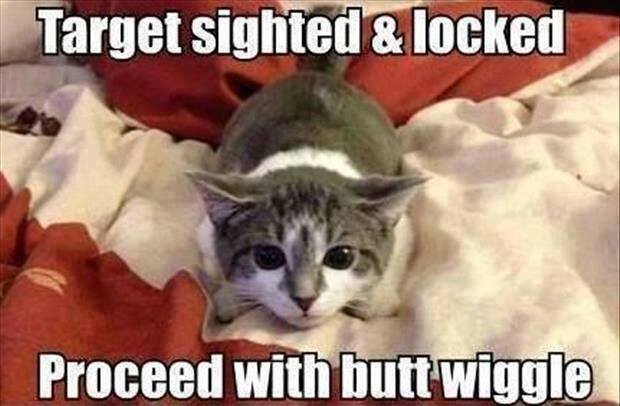 And they run and pounce on it. Don’t keep something in front a cat all the time, or make the toy mouse or bird run to your cat. The cat is sitting still. Prey does not run to a hunter – prey runs away, and the minute it runs away, it becomes real to your cat. Waving a pen light in front of them is not interesting to them, by the way. NG: What is a behavioral problem that you frequently encounter in your practice? DQ: A big one is: the cat keeps me up all night crying, or wakes me up at 5 a.m. for food. That’s going to take some serious schedule changing, because you’ve hardwired a routine and cats don’t like change. When I come over, people sometimes expect the behavior to go away, boom, but it’s probably going to take a couple of months of trying things out, and creating a new habit for your cat. 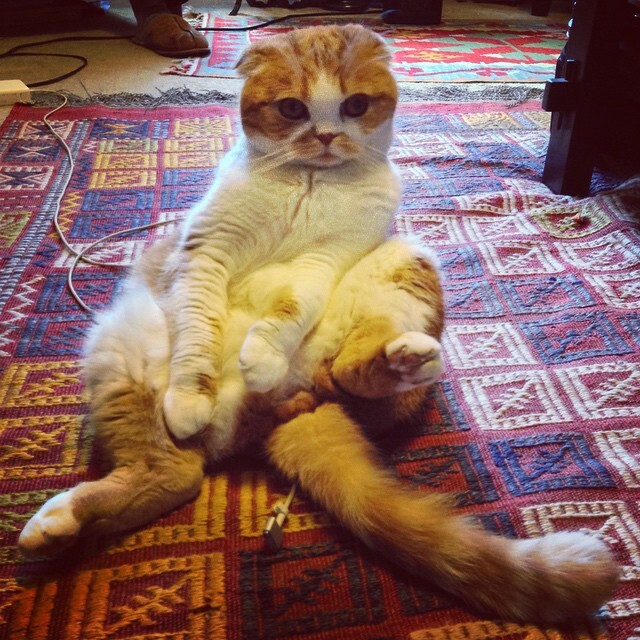 You’re going to have to bear with some really uncomfortable times when your cat is saying – I don’t get it! I’ve been eating at 5 am for years! NG: So you’re saying that we humans create habit patterns for cats that are hard to break when we want them to change. What is your advice in this case? DQ: We as human beings have a circadian rhythm, and so do cats. Yet our bodies are on this daytime clock – and cats are on a different one. So half the time cats are up, looking for things to do. The good news is that there are plenty of options for you to deal with this. If it’s feeding that they want, you can take yourself out of the picture by using an automatic feeder with a timer. Or, you can change their eating schedule – feed them an hour before bed, so they won’t get hungry in the night. 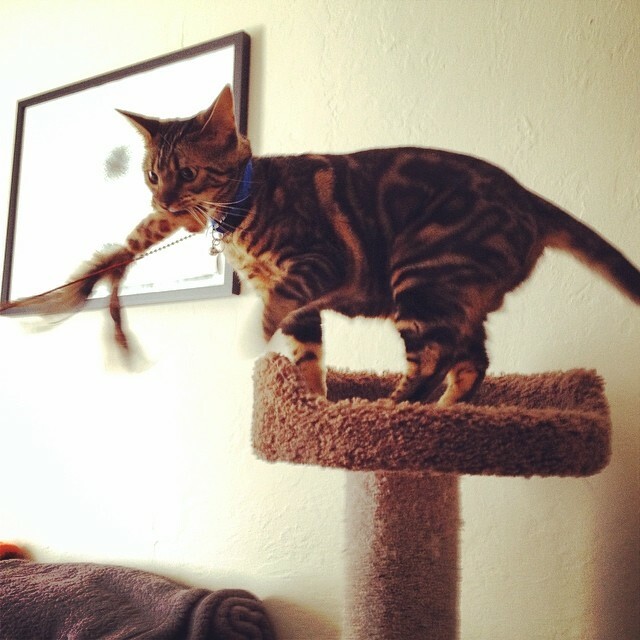 For active cats or hunter breeds such as Bengals, make it a creative adventure. Maybe you have food hidden all over the house, in little puzzles that take time and effort, and it takes three hours for them to complete a whole meal. That’s three hours that will keep them busy hunting, keeping their brain occupied and they’re not thinking about you. They’re not going: wake up, wake up! Their needs are being met, all on their own. 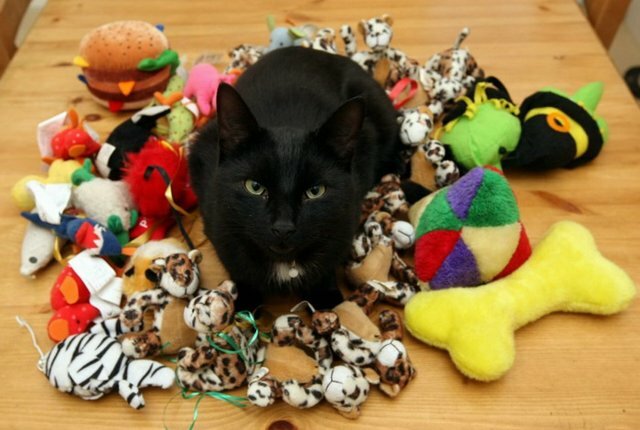 NG: What sort of cat toys do you recommend to help us create puzzles, and keep cats busy? DQ: There are many toys on the market that help you accomplish this. Some spill out food little bits at a time, so it makes them work for it. 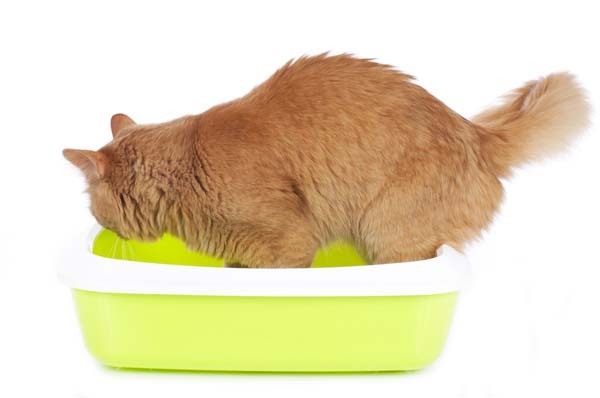 Foraging toys, slow feeding toys – they even make bowls with a mechanism that prevents the cat from putting its whole head into the bowl, forcing the cat to creatively figure out how to get the food out of the bowl. They’re also for cats that overeat – or who eat and then throw up because they eat so fast. These are things that allow them to accomplish the task, all without putting the owner in a position of fighting. Let them learn them new skill sets, and you’ll both be happier. NG: These practical solutions make so much sense, and they sound like fun, too. People really love their pets; they’re family members. It’s upsetting if there’s a behavioral problem because we can’t communicate or understand them as easily as we wish. How do you deal with the owners themselves? DQ: There’s a strong emotional component to it. We respond emotionally when things happen with our pets that we don’t understand, or that we think are vile – like when your cat pees on the bedspread. We can take that personally or even interpret it as spiteful. Maybe we’ll put two and two together and think: “Oh, it started when I began seeing this new boyfriend, or when I started taking long trips.” There’s some truth to that, yes – but it’s really that something has changed in the routine. It’s not your cat saying: “I don’t like your boyfriend, so I pee on things you like as revenge.” Your cat doesn’t know what you like, because everything in the house belongs to them anyway! In any case – there could be many reasons why a cat’s behavior changes, that’s why I need to go into the home to see what’s really going on, and meet the cat and owner. NG: Why do cats hate change so much? DQ: Cats are creatures of routine and they literally set their circadian rhythms to the habits of their guardians. When removed from a predictable routine, they can become anxious and stressed. When I worked in the shelter environment, I would see cats that had lived in the same home for over 10 years go crazy when moved to an unfamiliar environment. All the familiarity of their routines vanish and suddenly they have to understand new smells, people and they hear and see other cats, which might also stress them out further. It’s not that cats hate change, as commonly believed. Some do just fine, moving from place to place. They just prefer that changes roll out at a slow pace so they have time to adjust and feel safe. This is why a trip to the vet can be so shattering to a cat. NG: Are some of these problems medically based, or symptomatic of an illness? DQ: Sometimes it’s a medical problem that underlies a behavior issue, so make sure you rule out illness as a cause. Unfortunately, cats tend to be very good at hiding symptoms until it’s too late. 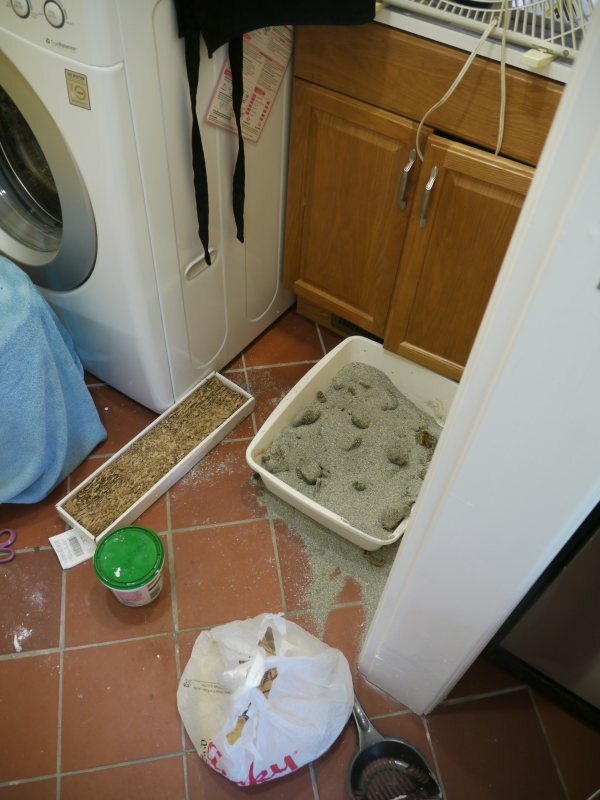 They may have a solid habit using the litter box their whole lives, and then quite suddenly they go on your bed – the cat is taking drastic measures. 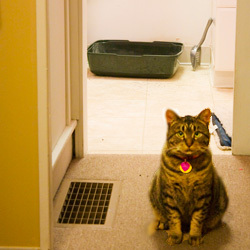 I have clients who say things such as, “my cat suddenly started peeing over my floor, my stove.” These aren’t places that have social significance. It could be a marking issue, or a litter issue – but if these places are random or make no sense at all, it could be a medical cause, so it’s important to get them to a vet as well. NG: Are there any cat issues that are particular to San Francisco? DQ: I always say that people in San Francisco live in small environments with really big hearts. 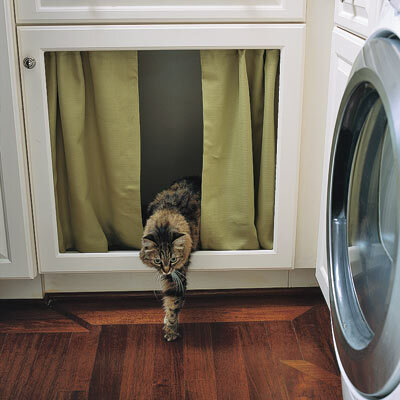 If they have too many animals in a small space, that can be a problem until they make vertical changes. What I mean is, if everything is on the ground level, that’s where all your conflicts are going to happen. You’re going to have cats fighting in hallways and over food bowls. 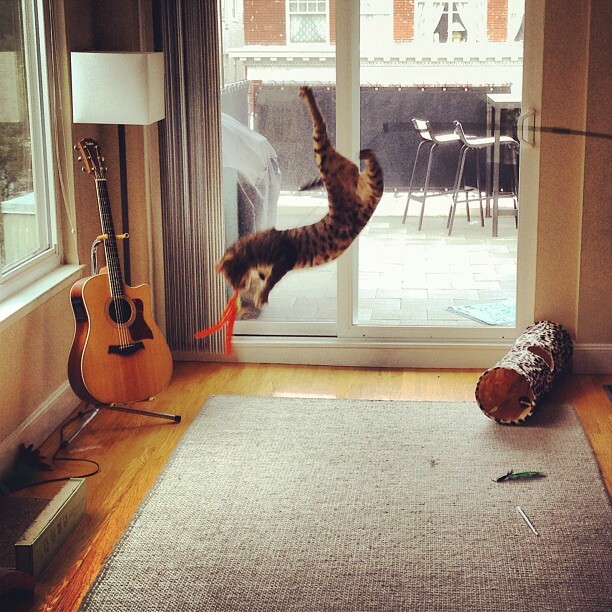 Getting them up off the ground is not only a good tactic to avoid conflict, but it gives cats a sense of status. When you have multiple cats, the cats with the higher status want to be on top, looking down. So I recommend cat trees, and building easy access to higher spaces. To a cat, everything in your house is territory. NG: Do you recommend people to limit the number of animals that they have? DQ: I hesitate to put a limit on it, but if it’s manifesting as conflicts with your pets, then you really have to think about it. It’s easy to get more cats, save more cats; I’m all for that, save as many cats you can, but you’re going to have to provide vertical space so they can live together and be happy. More pets means adding more territory. NG: What can we learn from our cats? DQ: This is my own personal philosophy: When I observe cats, I admire that they’re living in the present moment all the time. 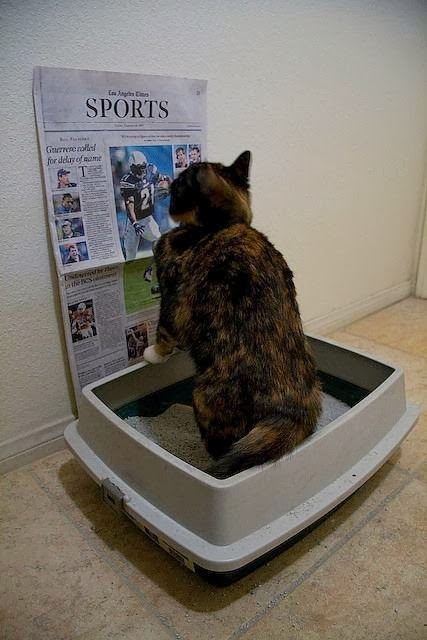 We can wonder why our cats are sitting there staring and doing nothing. Well, in truth – they’re not sitting there thinking, or going back in time, or worrying about tomorrow. All they’re about is: are the same things going to happen every day that keep me happy? NG: Acquire a Zen-like state as your cats do, and be one with them. DQ: Sure. It’s the closest thing to meditation you’ll find. I think that all animals have this ability – the human mind is fallible. I’m finding the secrets to being a better person through cat behavior, so I use that, and I use it to tailor my advice to my clients. NG: Anything else you want to add? DQ: My one message is: Surrender yourself, not your cat. To contact DQ, visit his website at Go, Cat, Go! You can also hear DQ dishing out animal behavior advice on KGO Radio as a regular guest on the Maureen Langan Show and as a cat expert on KOIT Radio. Nancy Garcia is a writer and television producer who divides her time between San Francisco and New York. You can learn more about her work by visiting her website and following her on Pinterest.